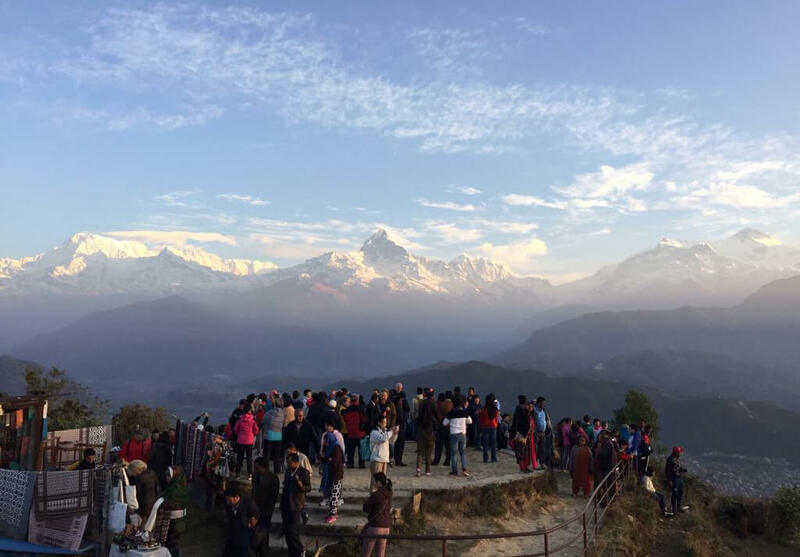 Visitors gather at Sarangkot in Pokhara to watch the sun rise beside the Annapurna range. 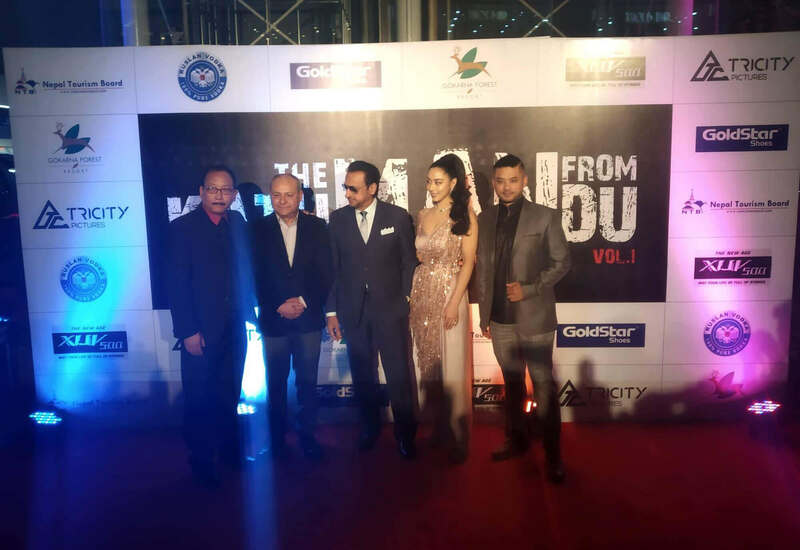 The cast of the Nepali-Hollywood movie The Man from Kathmandu including Karma Shakya, Anna Sharma and Gulshan Grover pose with director Pema Dhondup before the Kathmandu premiere in Labim Qfx in Patan on Thursday evening. 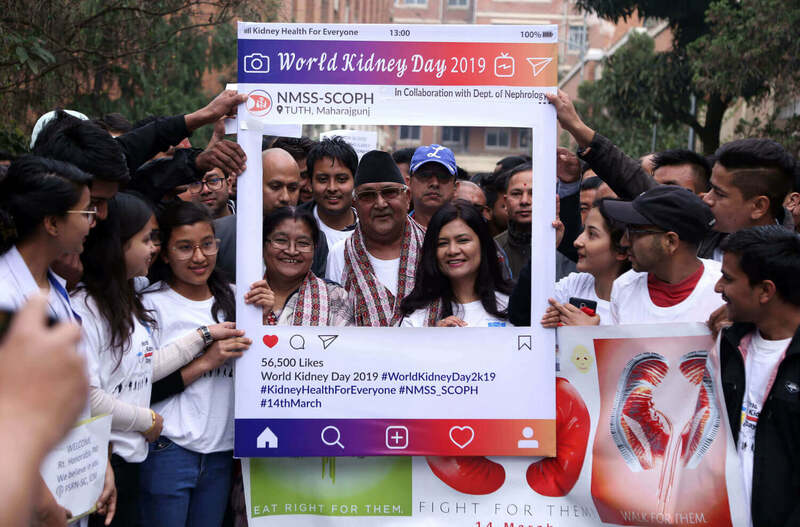 Prime Minister K P Oli and his wife Radhika Shakya take part in a walkathon organised by Teaching Hospital in Kathmandu on Thursday to mark World Kidney Day. A man applies a fresh coat of paint on the Ashok Stupa at Chobu Gahahity, Patan on Thursday. 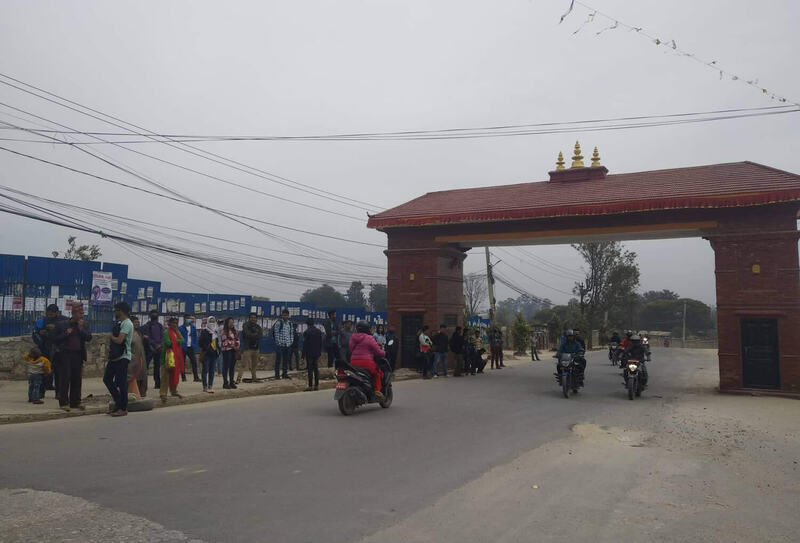 Nationwide bandh called by Netra Bikram Chand 'Biplav' of Communist Party of Nepal has affected the daily life of people across the country. While most shops were open for business only few public vehicles were operating in Kirtipur on Thursday morning. 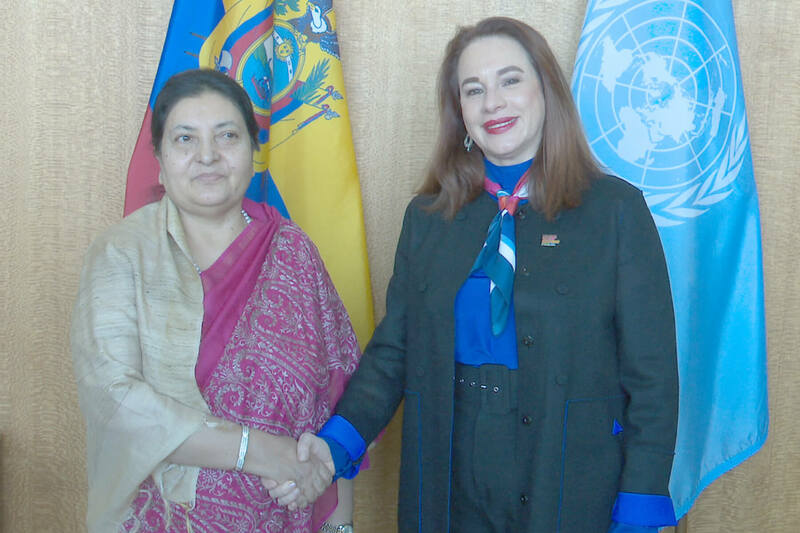 President Bidya Devi Bhandari and María Fernanda Espinosa Garcés, President of the United Nations General Assembly for the 73rd session meet at the United Nations headquarters in New York on Wednesday. 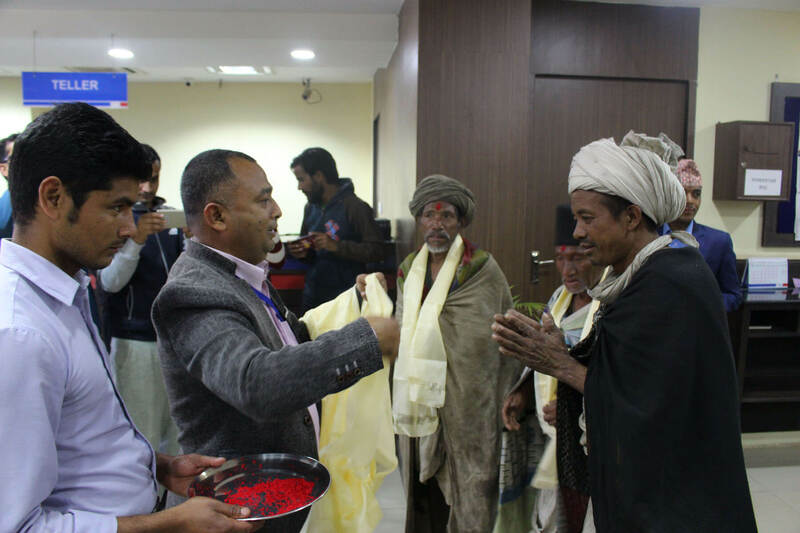 Chief of Birendranagar, Surkhet branch of Mega Bank welcomes Surya Narayan Shahi, leader of a Raute community who had come with five others to cash a cheque on Wednesday. President Bidya Devi Bhandari meets with President of Croatia Kolinda Grabar-Kitarović. Matters of mutual interests, including women in political leadership, were discussed during the bilateral meeting. 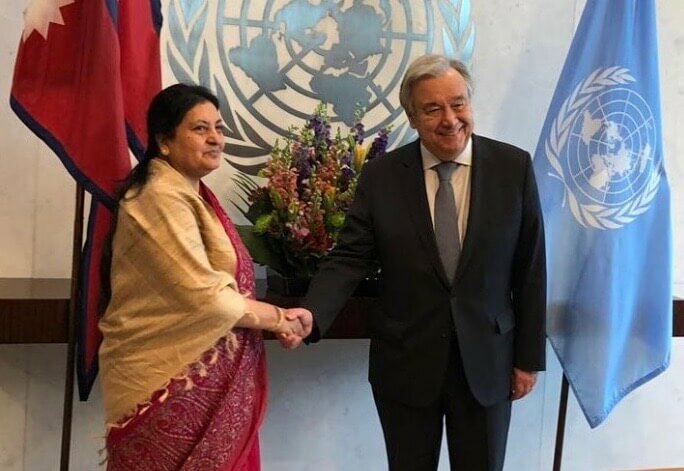 President Bidya Devi Bhandari met UN Secretary General Antonio Gutierres in New York on Tuesday. 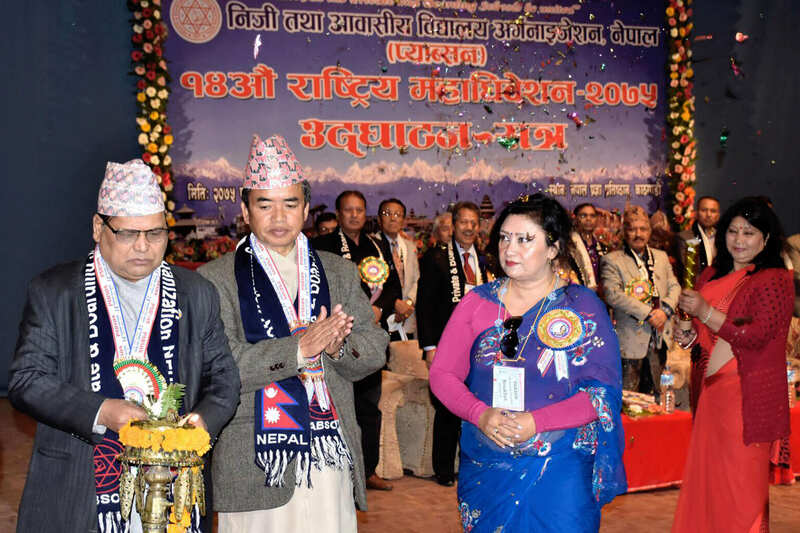 Speaker of the House Krishna Bahadur Mahara inaugurates the 14th General Assembly of Private and Boarding Schools' Organisation Nepal (PABSON) in Kathmandu on Tuesday. 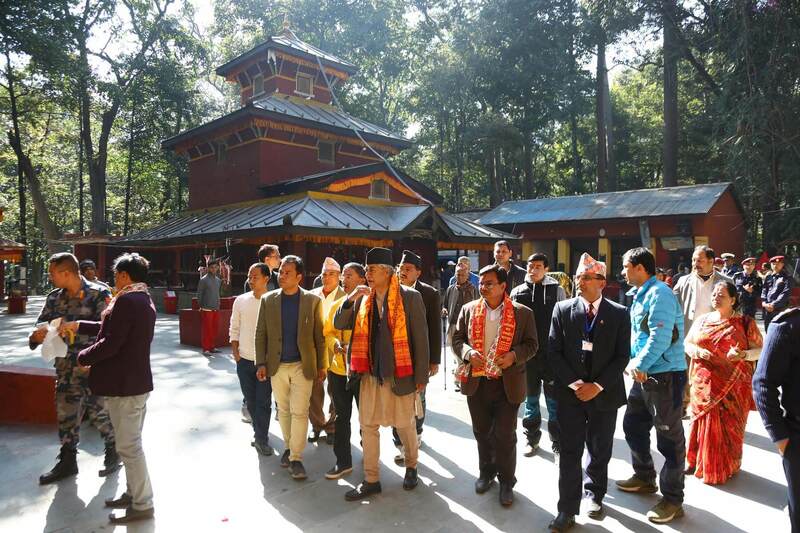 Former Prime minister and chairperson of Nepali congress Sher bahadur Deuba visits Kalika Bhagwati temple in Baglung on Monday. 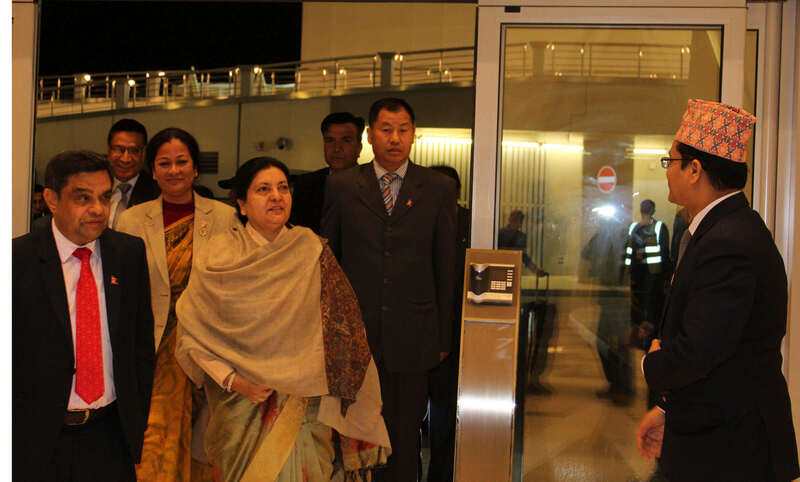 President Bidya Bhandari arrives in Hamid International Airport in Doha on Sunday evening. Bhandari is on her way to attend the 60th session of the United Nations Commission on the Status of Women to be held in New York. 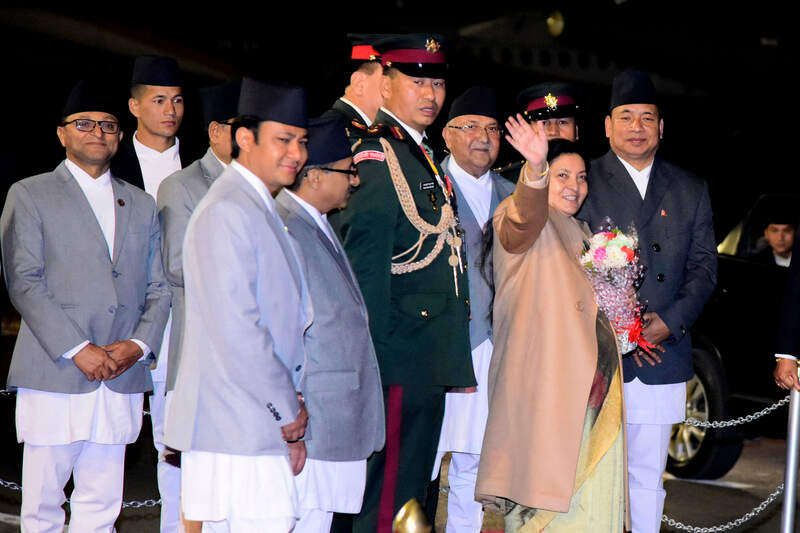 President Bidya Bhandari left for New York on Sunday evening to attend the 60th session of the United Nations Commission on the Status of Women. Bhandari sis scheduled to return to Kathmandu on 14 March. 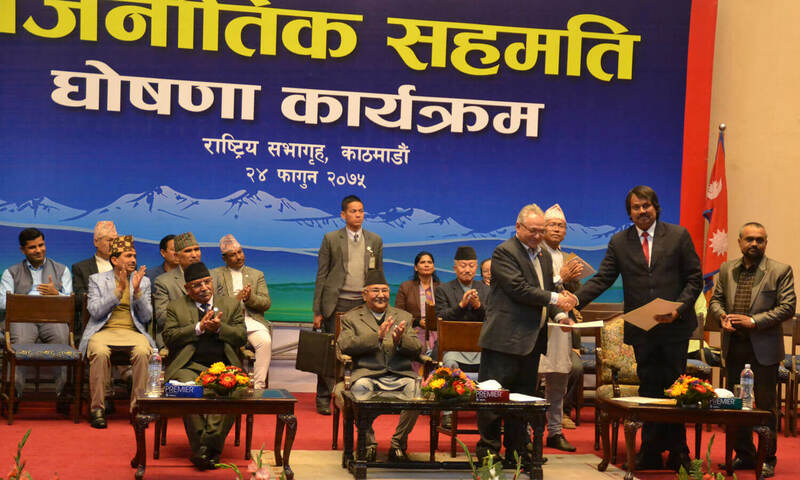 Prime Minister K P Oli, CPN co-chair Pushpa Kamal Dahal, Home Minister Ram Bahadur Thapa and C K Raut of the Alliance for Independent Madhes sign an agreement in Kathmandu on Friday. With this, Raut will renounce Madhes secession and join mainstream politics. 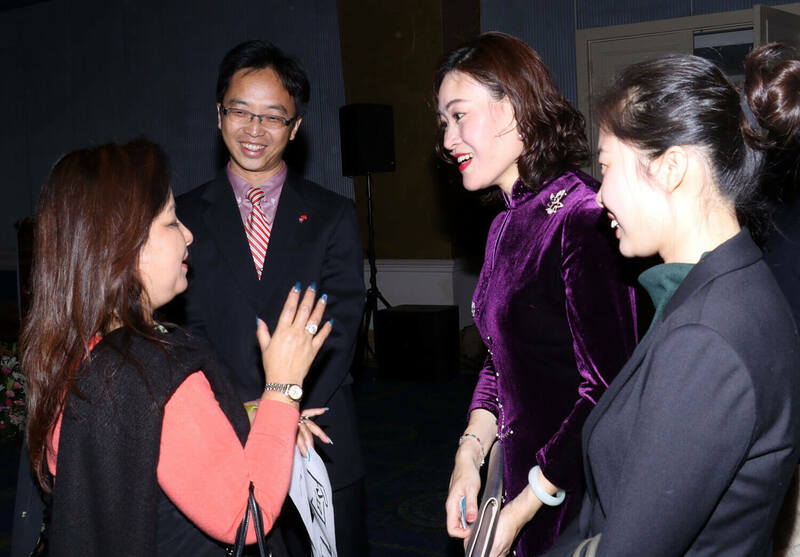 China's Ambassador to Nepal Yu Hong and Arzu Deuba, wife of former prime minister Sher Bahadur Deuba during a cultural event at the Chinese Embassy to mark the 109th International Women's Day on Friday. 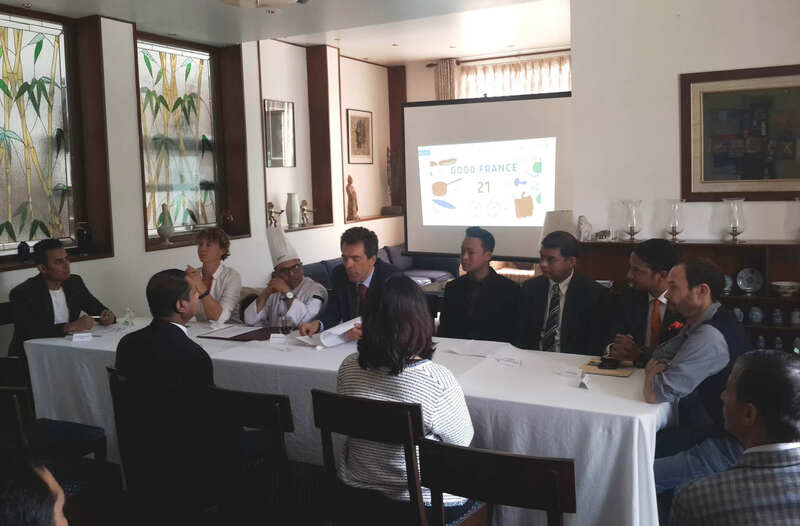 French Ambassador François – Xavier LEGER introduced the fifth edition of Goût de France (Good France), a gastronomical event in Kathmandu on Thursday. This event will see 5000 chefs making a French dinner with a local twist on 21 March in over 150 countries. 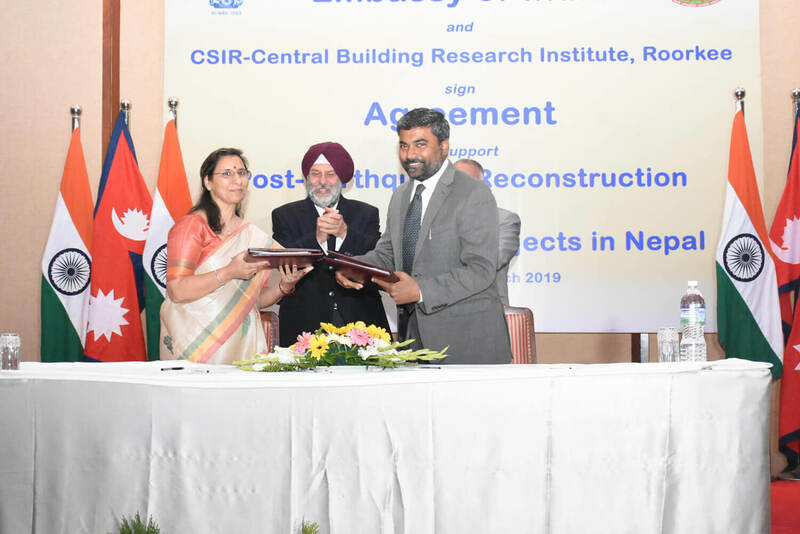 Indian Ambassador on Wednesday signed an agreement with the Central Building Research Institute (CBRI), Roorkee, India for post-earthquake reconstruction of 72 educational facilities in Nepal. 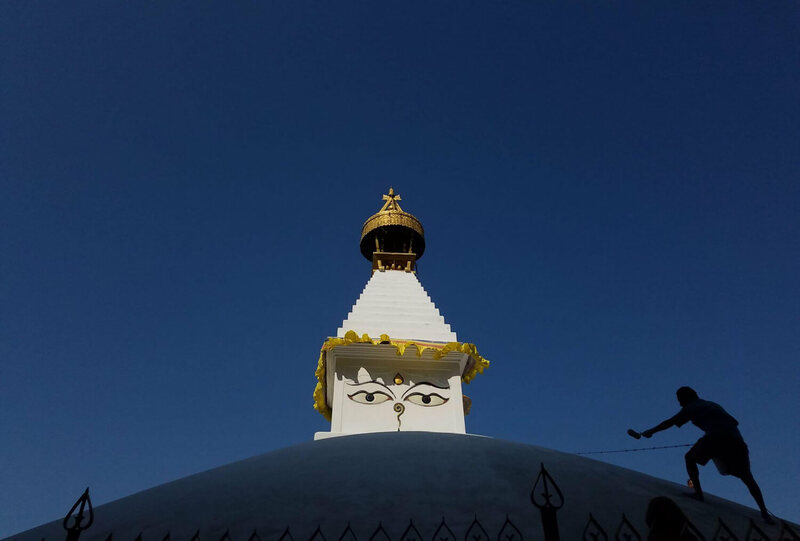 A Buddhist devotee from Tibet arrives in Boudhanath, Kathmandu on Tuesday to observe Gyalpo Lhosar that falls on 7 March this year. 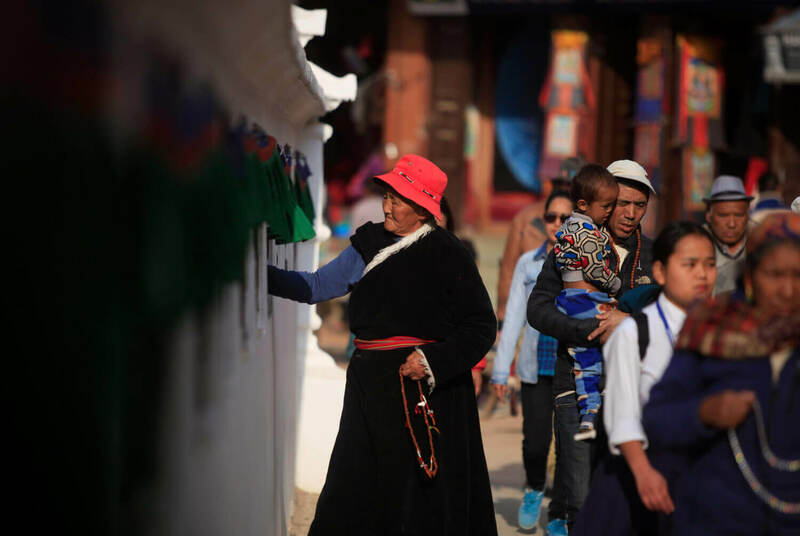 Tibetan and Sherpa communities celebrate their new year with special delicacies, dances and festivities. 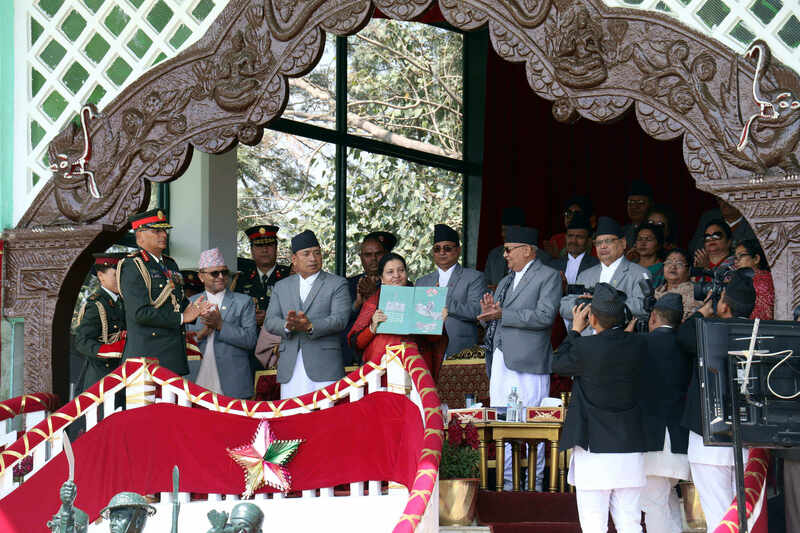 President Bidya Bhandari, Vice President Nanda Kishor Pun and Prime Minister K P Sharma attend the Army Day celebration in Tundikhel, Kathmandu on Monday. Nepal Army has been observing army day on Maha Shivaratri since 1991. 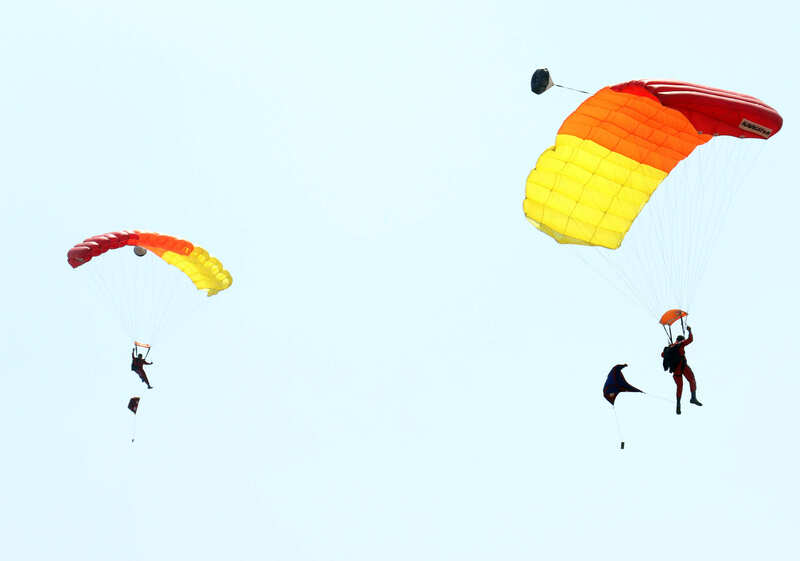 An army personnel was injured while performing para-jump during an event to mark Maha Shivaratri and Army Day in Tundikhel, Kathmandu on Monday. 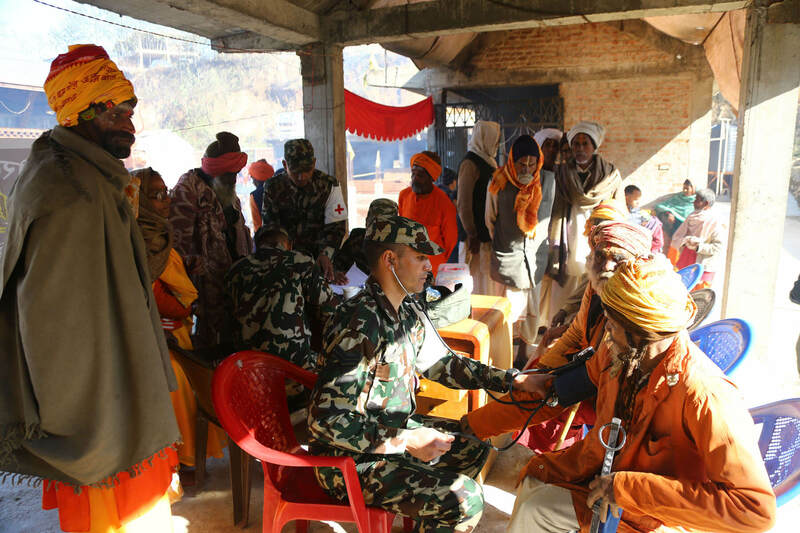 Nepal Army officials examine Sadhus, the holy men in Doleshwor Mahadev Temple in Bhaktapur. Thousands of devotees including sadhus gather in the temple to observe the annual Maha Shivaratri festival. 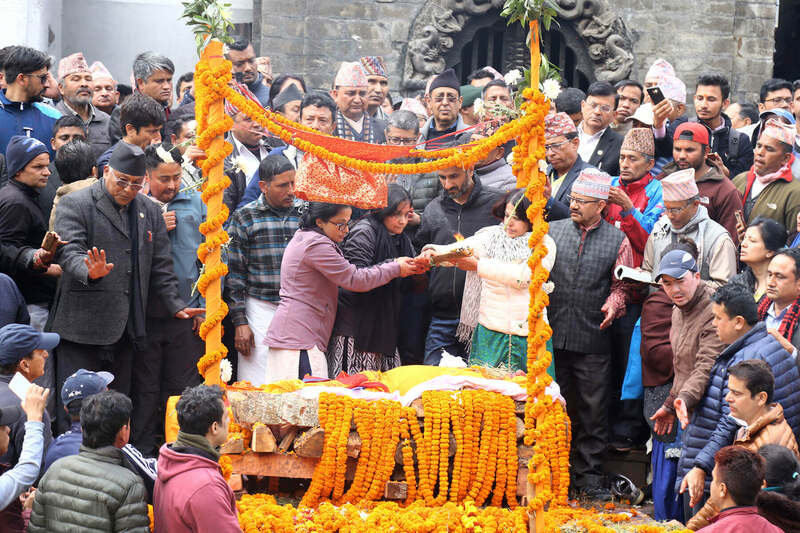 The three daughters of former deputy prime minister, finance minister and leader of Nepal Communist Party Bharat Mohan Adhikari perform his funeral rites in Pashupati, Kathmandu on Sunday. 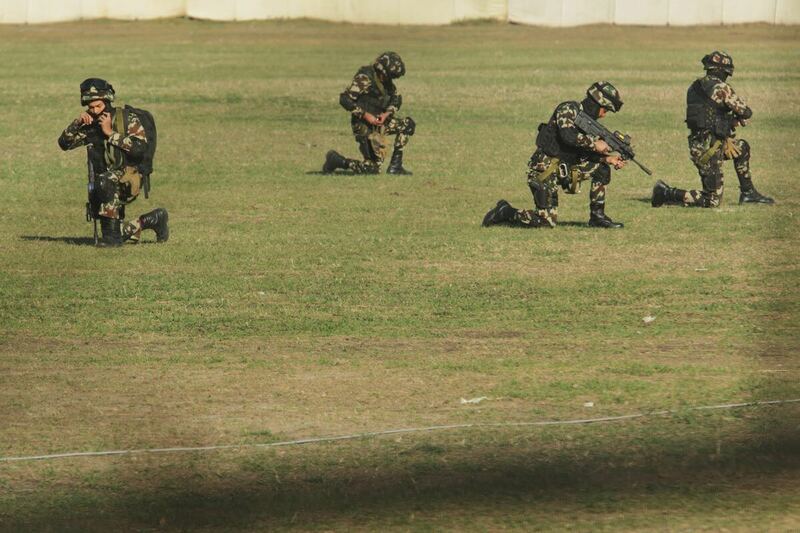 Nepal Army soldiers rehearse various performances at Tundikhel, Kathmandu on Friday for upcoming Army day. 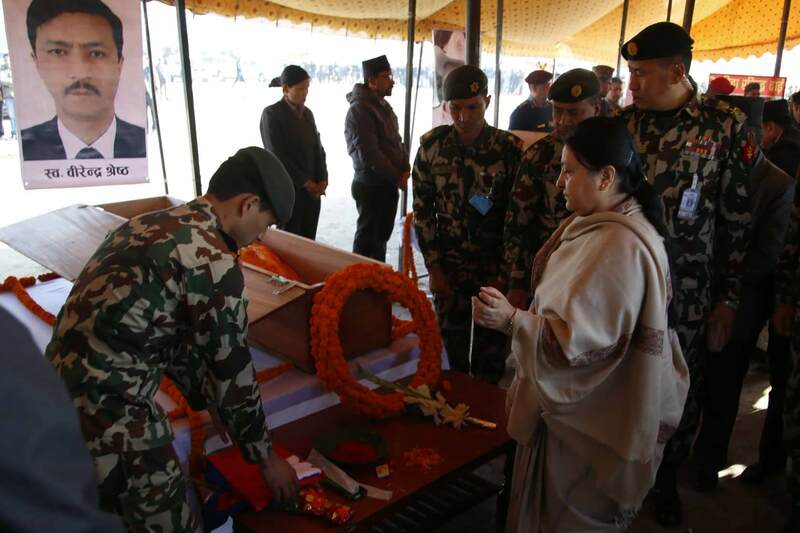 President Bidya Bhandari pays final respects at Tundikhel, Kathmandu to the seven people who lost their lives in the helicopter accident in Taplejung on Wednesday. The Bodies of the deceased including Tourism and Civil Aviation Minister Rabindra Adhikari were brought to Kathmandu on Thursday.